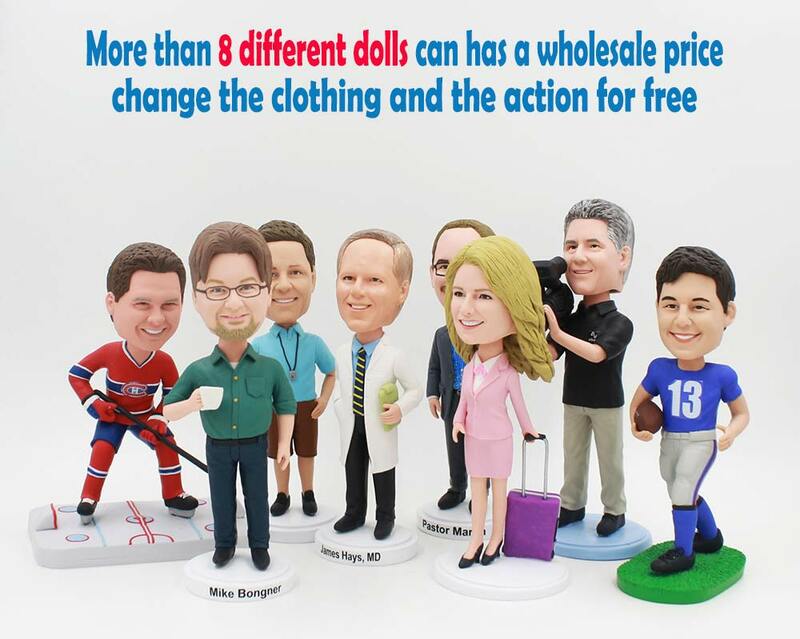 PF-008 Custom bobbleheads bulk groupon. All dolls are diferent(different body/different head) .Personalized bobbleheads from photo. More than 8 different dolls can has a wholesale price=$59/1pcs. Personalized bobbleheads wedding gifts and Christmas gifts. Change the clothing and the action for free. When it comes to custom bobblehead dolls, look no further - you found the best custom bobblehead doll site in the world. We hope you enjoy shopping here! If you have many photos but the photo qty is limited by the photo window, please don't worry,after you place the order,you can send us more picture by email. Change the clothing and the action for free . When you placed your order,please leave the message.